You and your braces are going to be together for a while. It won’t be the longest relationship you ever have, but it is an important one, and you need to make sure you take proper care of your braces so that they can do their job. Since your mouth felt pretty tender when you first got your braces, you probably already know that hard, tough foods can damage your braces. Well, sticky foods can also damage them, and sticky foods can also get in your braces and contribute to tooth decay. You should already be in the habit of brushing your teeth twice a day and flossing once a day. 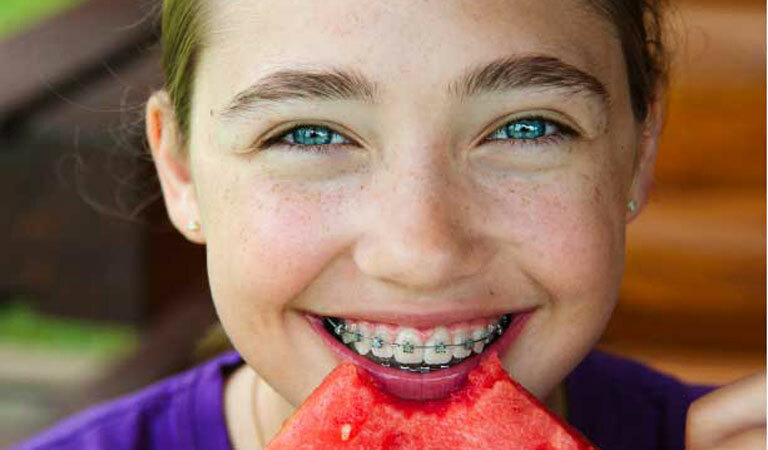 With braces, you should brush and floss 30 minutes after every meal and snack. You should take your time brushing, focusing on one or two teeth at a time. Using traditional dental floss may prove to be frustrating, so you may want to talk to our dentist, Dr. Sellke & Reily about using a floss pick or a water flosser. Whenever you brush your teeth, you should also check for damage. If you notice anything wrong, contact the dentist right away. Wearing braces can be daunting, but at Orthodontic Specialists of Lake County, we have the answers you need. If you live in the Grayslake, Antioch and Gurnee, Illinois area, call 847-223-2876 today to schedule your appointment today.